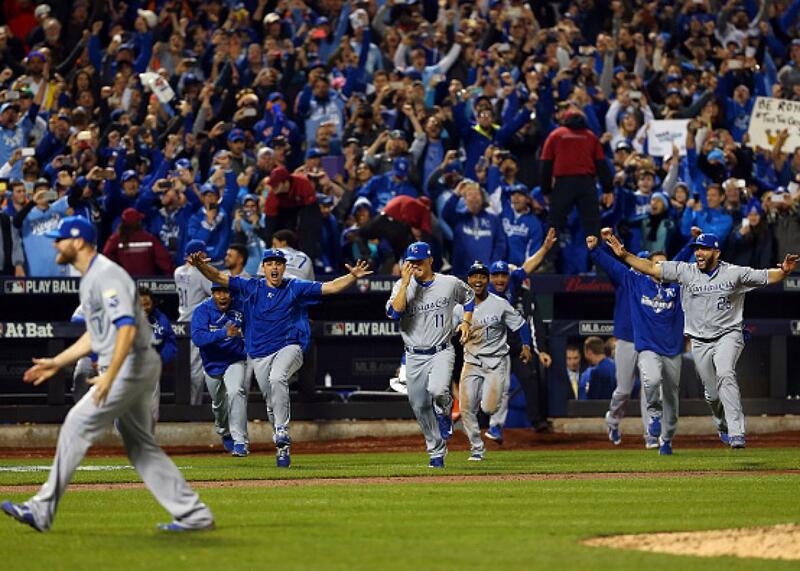 Here is the Kansas City Royals' World Series clinching win in six photos. The Royals celebrate their World Series-clinching 7-2 win. 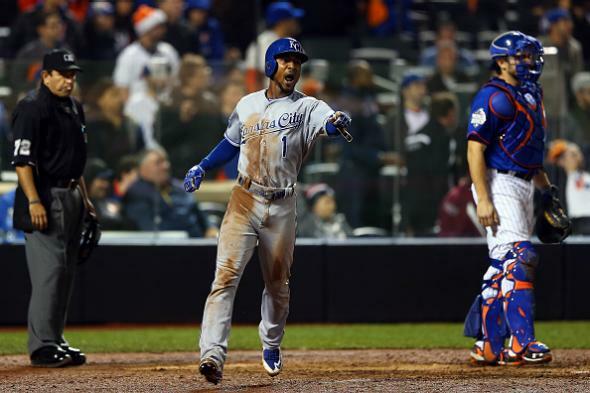 The Kansas City Royals beat the New York Mets 7-2 in 12 innings to win the World Series four games to one and claim their first title in 30 years. It was yet another come-from-behind triumph for a team that has built a reputation off of postseason comebacks the past two seasons, with the Royals scoring two runs in the top of the ninth off of Matt Harvey after the Mets ace refused to be taken out of the game following eight spectacular shutout innings and manager Terry Collins decided to let him stay in. It is a fitting bookend for a team that fell just short of the championship last year to the San Francisco Giants. The Royals become the first team in baseball history to have won three games in a World Series after trailing in the eighth inning, having similarly come from behind to win in Games 1 and 4. While Mets fans will have plenty to lament—first and foremost Collins’ decision to reverse himself and let Harvey pitch the ninth inning and continue to pitch after giving up a lead-off walk—the Royals seized the title as they have won games all season with clutch late-inning hitting, fantastic bullpen work, and savvy base running. Here are some photos of your 2015 world champions in the key moments of their clinching Game 5 win. Eric Hosmer scores the game-tying run off of a groundout by World Series MVP Salvador Perez to cap off a two-run ninth-inning comeback after Mets firstbaseman Lucas Duda’s throw to the plate was well wide of the mark. 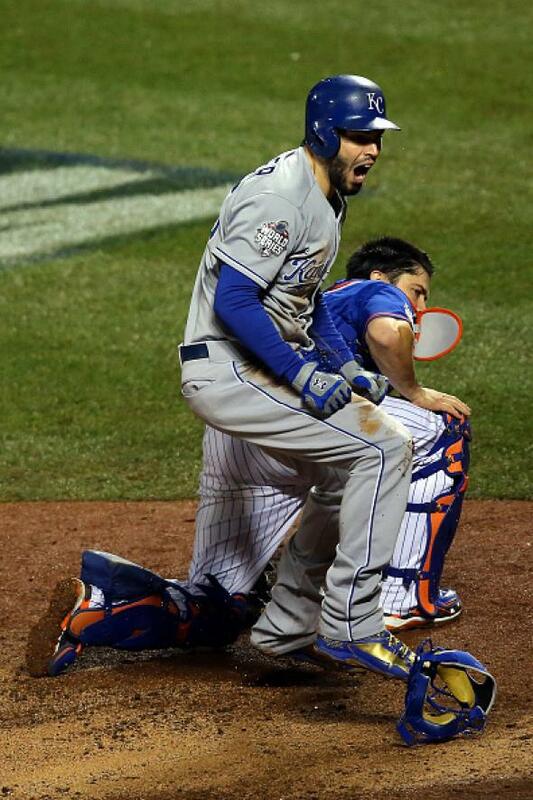 Hosmer celebrates tying the game 2-2 in the ninth. Jarrod Dyson celebrates after scoring the go-ahead run in the top of the 12th inning off of a hit by Christian Colon in his first at-bat of the 2015 postseason. The Royals would go on to score four more runs and close out the victory with ease. 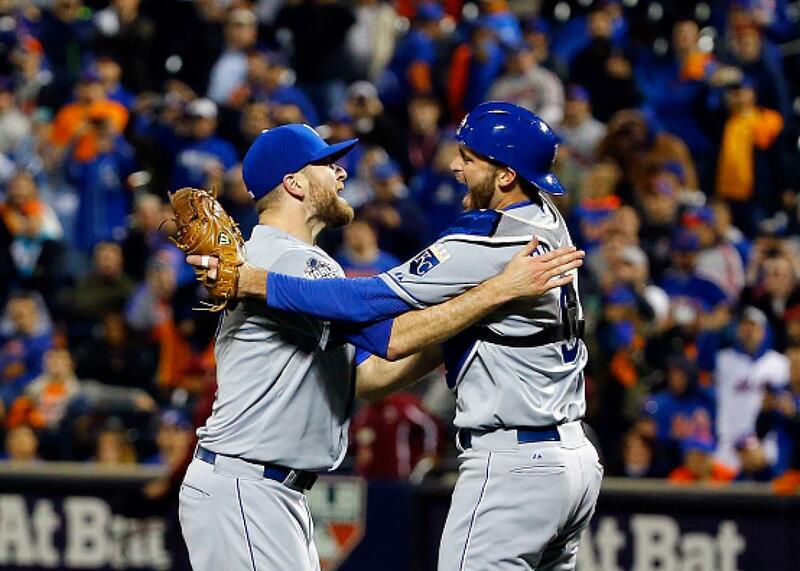 Royals closer Wade Davis and backup catcher Drew Butera moments after victory. 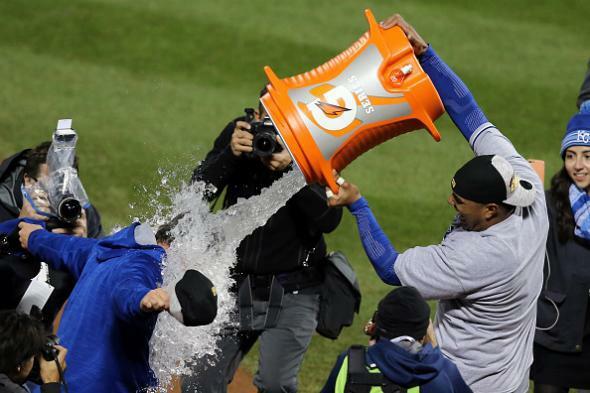 MVP Salvador Perez gives manager Ned Yost his Gatorade bath and the 2015 season is complete.